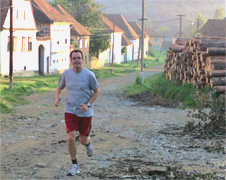 Experience rural life in Transylvania, Romania with us. 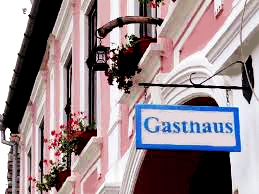 The Archita guesthouse is a spacious, 100-year-old Saxon home which we lovingly restored over 2007 and 2008. We are located in Archita, Romania: a small, picturesque and unspoiled Saxon village at the heart of Transylvania. We are within easy reach of both the Saxon and Seckler regions of Transylvania, Central Romania. Archita is in the Tarnava Mare region of Transylvania, surrounded by undeveloped hillsides and forests in all directions. We connect with an extensive network of low-traffic country roads, a perfect place for a walking or cycling holiday. "I have been coming to Romania for past 12 years and this is, without a doubt, the nicest place I have stayed." Already planning to visit Brasov and Sighisoara? If you are already planning a trip to Transylvania, break your journey between Brasov and Sighisoara with us - we are on the same train line. We'll meet you at the train station, or pick up and drop you off from either city. Both cities are easily accessed by train or car for day trips. Copyright © 2007-2012. 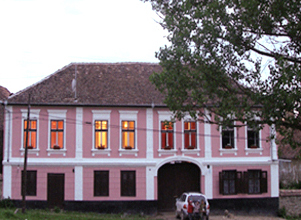 All rights reserved Archita Saxon GuestHouse, Transylvania.